DePauw's E.J. 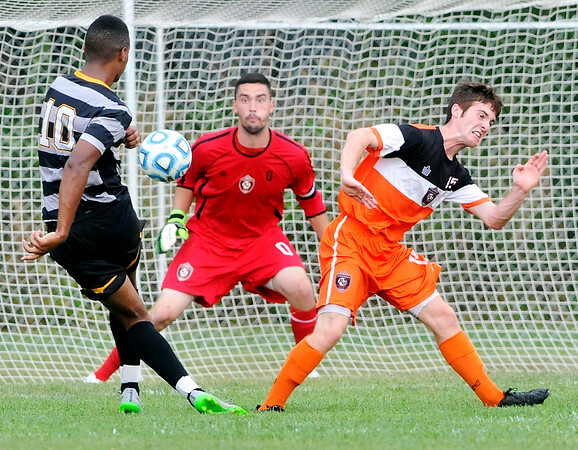 Moore takes a shot on goal as AU's defender Michael McManus runs past him while AU goalie Nathan Wadley reacts to the incoming ball. DePauw scored on the play.